On some days, my job as a folklorist is especially gratifying. This past week I had the pleasure of facilitating a meeting between Cambodian ceramist Yary Livan and Louise Cort, Curator of Ceramics at the Smithsonian Institution’s Freer|Sackler Gallery in Washington, D.C. It was dreary, cold, and wet on January 18th when I picked up Louise at Boston’s Logan airport. 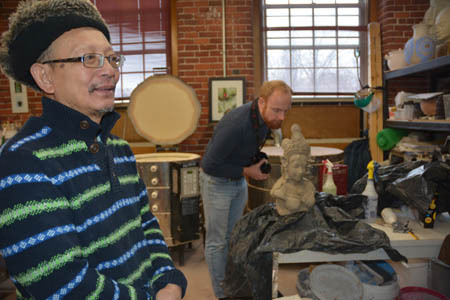 We drove the 30-odd miles north to Western Avenue Studios in Lowell where Yary Livan has studio space. Traveling with Louise was Danny Eijsermans, a Freer|Sackler Curatorial Fellow currently working on a Ph.D. in Southeast Asian art history. With deep respect and knowledge of the Khmer ceramic tradition, both Louise and Danny found an immediate rapport with Yary. I first met Louise Cort in 2014 at the annual meeting of NCECA in Providence, Rhode Island. I was part of a panel that Middlesex Community College Professor Marge Rack had organized featuring the work of Yary Livan. In addition to Yary’s voice, the panel included the perspectives of a folklorist, art professor, and secondary school art teacher. It was a memorable experience, not only because of the craft of this incredible artist, but because of the stories shared and the emotions triggered by his life story. 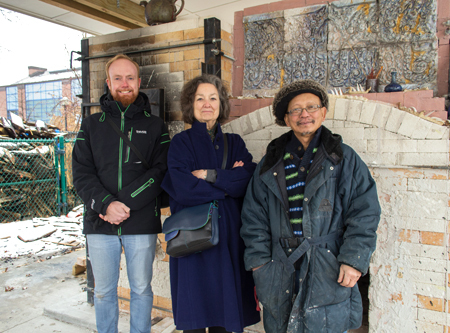 Those present learned of Yary’s training in Khmer fine arts, his surviving the Khmer Rouge Genocide, his resettlement in Lowell where he slowly regained access to clay, the building and firing of a wood-fired kiln, and his dedication to teaching the next generation. A year following the NCECA panel, Yary Livan was named a National Heritage Fellow, the nation’s highest honor in the folk and traditional arts. He continues to produce a wealth of new work and to mentor students. 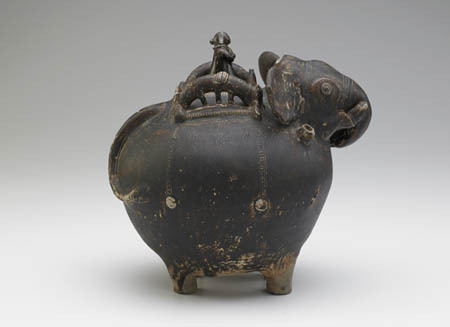 Louise and Danny are preparing an exhibition at the Freer|Sackler titled “The Glazed Elephant: Historical Khmer Ceramics from the 11th-14th century.” The exhibit draws on the museum’s Hauge collection of glazed ceramics from the Angkorian kingdom in Cambodia. It will open April 15, 2017 and run through the first week of July. 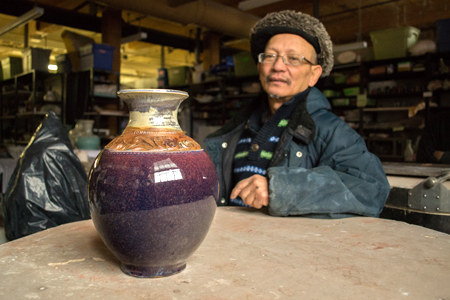 In a happy convergence, the 2017 Smithsonian Folklife Festival, which is celebrating its 50th year, will present “American Folk: Celebrating the NEA National Heritage Fellows.” What perfect timing, to feature National Heritage Fellow Yary Livan, who on July 4-9 will demonstrate the current day practive of Khmer ceramics, a tradition that was nearly lost. His presence on the nation’s National Mall will be a reminder, not only of the value of our national museums as caretakers of art dating back centuries, but of our country’s recognition and support of immigrant artisans who are keepers of tradition. Our January visit ended with a stopover at the wood fire kiln, which Yary had fired over the weekend. Then it was time for a late lunch at Palin Plaza, where Yary ordered for us, family style. 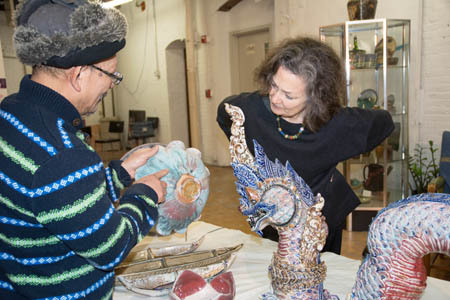 Maggie Holtzberg runs the Folk Arts & Heritage Program at the the Massachusetts Cultural Council.